Heh, this little cocoa is a cutie for sure! I just love how you colored his little cheeks, and that paper is dreamy!! Cute!! eek! Love it! Those little white dimples are fabulous!!! That little guy is too stinkin' cute! Your cards with Cocoa has inspired me to check out more about him and many dollars later I will join in the fun at the blog! BTW-your card is adorable. Oh this is darling! That image is so sweet and I love the dp you used! Very pretty card! What an adorable little guy he is! Very cute card! 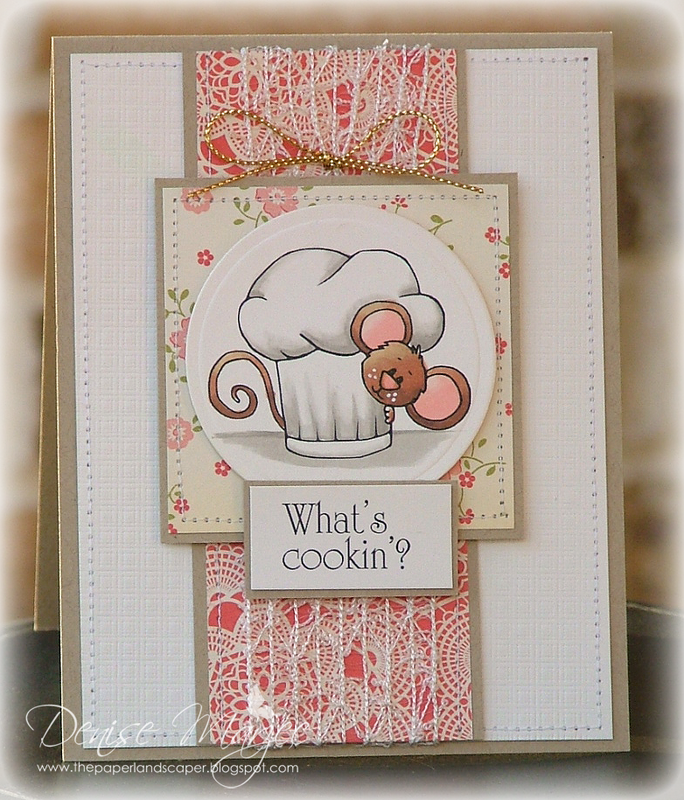 What a darling image, Denise, and I love the colors and papers you used...they match Cocoa's chubby little cheeks and super cute pink ears!!! Love your adorable cocoa! Thanks for playing with us at The Sweet Stop! Adorable... I just adore this image. This is adorable Denise! 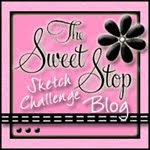 Thanks for playing along with us at The Sweet Stop! 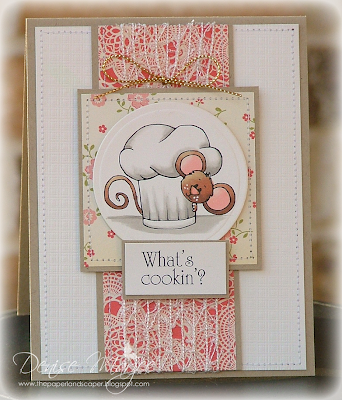 Great job with this layout Denise! Love it! Those papers are to die for together!! Love your shading on the image!! SUPER adorable!! !